The children’s snooker club is the ideal place to learn the great game of snooker, develop those all important skills around the table. It’s set in a very pleasant atmosphere where the children can be relaxed and have fun whilst learning what snooker is all about. 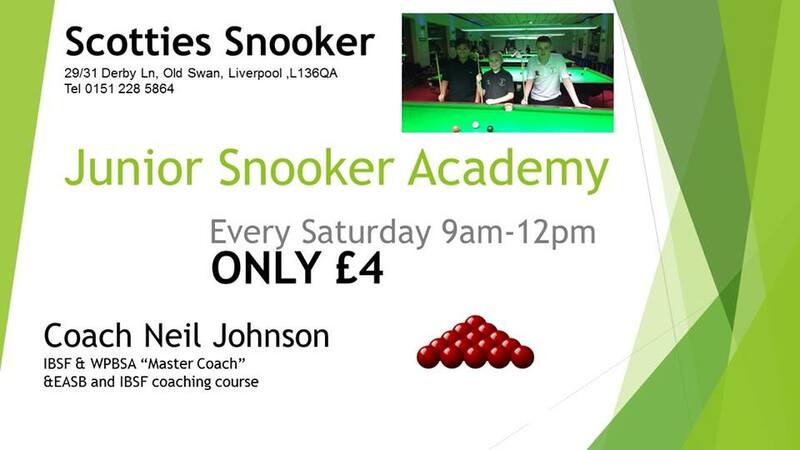 We also have lessons on a Saturday morning with professional snooker coaching. The boys and girls that are part of the training really enjoy all it entails and parents often comment how it’s something that the kids look forward to. You won,t be dissapointed.